For February’s play dough set I wanted to use the stones that Little Miss liked so much in the Arctic Animal box. 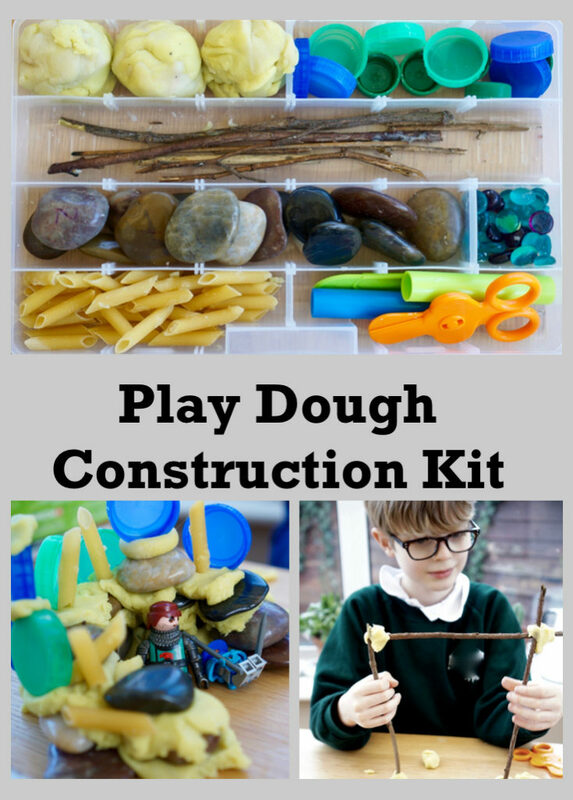 I found this idea and decided to make a whole play dough construction kit. 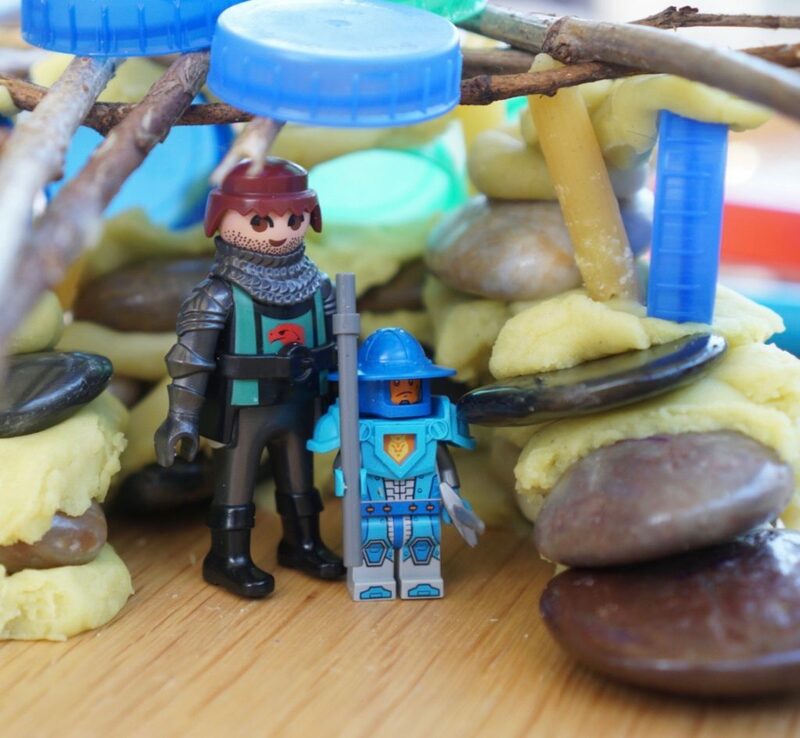 Play dough – this is the recipe I use. 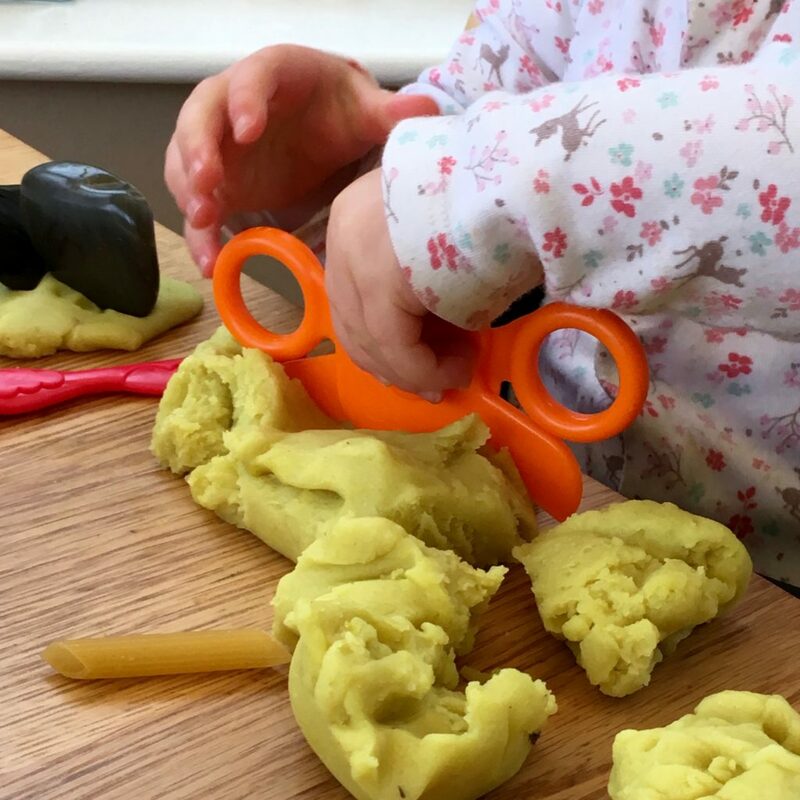 Play dough tools – I went for rolling pins, knives and scissors. Play dough tools are great for developing cutting skills because they’re totally blunt so safe for little ones. As expected Little Miss was basically uninterested in the ‘point’ of the set! She likes to push things into play dough and to be honest it doesn’t really matter what I give her with play dough at the moment. She was however, very excited by the scissors. Up until this point she’s rarely been allowed to touch scissors so she obviously thinks they are things of wonder! Oh wow what a brilliant idea! My girls are always collecting stones and twigs and other bits and I never know what to do with them. Fantastic idea 🙂 We are big fans of Play Dough in our house! Great ideas! Especially using natural elements. We’re going to try this in our tuff spot. 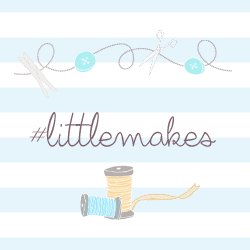 Thanks for sharing on #littlemakes I was fascinated with scissors too when I first started using them! That’s a good idea – I must get ours out!! Great idea. My girls LOVE scissors too. In fact I threw a pair away in temper yesterday because they decided to try cut up a dish cloth! Why? Haha – my big one decided to cut three little holes in his school jumper! !